#ReleaseDay for TJ London’s, The Traitor! Ahoy, me hearties! I’m back, and I’m raisin’ the signal flag in honor of historical fiction Author TJ London and her new book, The Traitor! Happy release day, Lady TJ!!! Provocateur and spy for His Majesty, Captain John Carlisle returns to Fort Niagara with the secrets he stole in the arms of the beautiful Oneida innkeeper, Dellis McKesson. Determined to complete his mission and clear his name, he’ll see justice done—and damn the consequences. Now, he finds himself drawn into political intrigue as the British prepare to launch a three-pronged attack that will bring the Rebels and the Mohawk River Valley to its knees. A dangerous revelation finds Dellis as whispers of intrigue insinuate her beloved is not all that he seems. Unwilling to wait for her lover’s return, she sets out in search of the truth as the Onieda begin negotiations with the Rebels, breaking the neutrality agreement with the crown. A bold move that will stoke a fire between the brother tribes and lead to a bloody inter-confederacy war—one Dellis predicted, and one John incited. While war between the colonies and the King smolders, the punishing winter of 1777 allows the perfect opportunity for old enemies to settle scores, lying in wait, ready to exploit John’s one weakness—his heart. John is not an innocent man. The truth he’s long tried to hide from can no longer be ignored, the ghosts of the past seeking justice, and karma wanting payment for sins so dark they cannot be forgiven. His King or His Conscience…which will he choose? I’m thrilled that I got to meet Lady TJ in Riverside, CA, at the Historical Romance Retreat (HRR), Sept 12-16. One of the first books I read as a child was The Winter at Valley Forge from Landmark Books. The imagery was so vivid, I actually felt like I was freezing along with Washington’s doomed men. (Even now, I can feel the bitter cold on my fingertips.) The Winter at Valley Forge influenced my passion for history at an early age. And I can’t wait to step once more into the revolution with Lady TJ’s Redcoats and Rebels Saga! Congrats, Lady TJ! Wishing you fare winds and magnificent success!!! Jack Interviews ~Author Elaine Violette! Gather round, me hearties! Katherine has let me have at it again! So hike your skirts, prop up your boots, and pour yourself a dram. Captain Jack Sparrow orders it, savvy! Aboard ship today, Author Elaine Violette! Fall Back In Time Event with Historical Romance ~ November 1st! Love to read historical romance? Why not participate in the 2nd Annual Social Media Event #FallBackInTime on Sunday, November 1st, eh? Release Day for Moriah Densley’s The King of Threadneedle Street And Giveway! Huzzah and Hoorah!!! Today is release day for Moriah Densley’s The King of Threadneedle Street and Jack and I are all aflutter. That means it’s hand flailin’ time, running across the beach, weighing anchor, and heading… that way! Of course, it goes without saying we’re raising the signal flag. Breaking out the rum. We’re excited! There be bootay, I mean bounty, in store! (Or bootay if a romance novel is any indication. Pirate!) In any case, let’s give Moriah a great BIG welcome, lads and lassies. She’s brought a trunk full of treasure for 11 lucky winners who’ll get their choice of handmade earrings, bracelets, or bookmarks, featuring pearls, turquoise, gemstones and Tibetan silver!!! There be only one thing you must do… venture to her Rafflecopter Giveaway link and sign up today! Bestselling author Moriah Densley sees nothing odd at all about keeping both a violin case and a range bag stuffed with pistols in the back seat of her car. They hold up the stack of books in the middle, of course. She enjoys writing about Victorians, assassins, and geeks. Her muses are summoned by the smell of chocolate, usually at odd hours of the night. By day her alter ego is your friendly neighborhood music teacher. She lives in Las Vegas with her husband, four children, and two possibly brain-damaged cats. Moriah has a Master’s degree in music, is a 2012 RWA Golden Heart finalist, 2012 National Reader’s Choice Award winner, and ’12 NRCA “Best First Book” finalist. She’s the author of the bestselling “Rougemont” Historical Romance series from Eskape Press, and the “Network-One” Paranormal Romance series coming 2014 from Entangled Publishing. Moriah is represented by Courtney Miller-Callihan of Greenburger Associates. He owns three shipping companies, a diamond mine, and his own castle. He knows Portuguese, Hindi, Mandarin and Morse code. His assets net thirteen million. Everyone thinks Andrew Tilmore, Lord Preston, the financial prodigy dubbed “The King of Threadneedle Street,” has it all, but he wants the one prize money can’t buy: his childhood sweetheart. Alysia Villier can’t say if it’s worse having Andrew’s father in control of her inheritance or Andrew in control of her heart. He’s ruined her for any other man, but she simply can’t give in to him. She knows he’s destined for great things — marrying a courtesan’s daughter would jeopardize everything he stands for. Keeping Alysia out of trouble and away from eager suitors becomes a cross-continental quest for Andrew, and he won’t be stopped by his old-fashioned family or the disapproval of the ton. After all, he’s a man with the power to play newspapers and investors like pawns, tumble world markets and incite riots… but can he win the biggest gamble of his life? Power! The ton! Investors, pawns, and world markets, not to mention courtesans and love… who could ask for more? But please, do go on, Moriah! Before Alysia dressed for dinner, Marsden delivered a small white case and left without a word. She unfolded the note to see Andrew’s capricious scrawl. He wrote, Please wear these for me tonight. She unwrapped the chocolate truffles and nibbled on one as she opened the lid of the box. She gasped — an elaborate jewelry set glowed in the lamplight. Breathtaking pearls, a smoky lavender color and set in designs she had never seen the like of. The necklace was not merely a strand, but an arrangement that resembled an elaborate tiara, or half of a snowflake. Woven into delicate patterns with graduated-sized pearls, it looked like some priceless artifact discovered in an ancient tomb. Alysia dropped her dressing robe to hold the necklace against her collar. She fastened the clasp and tried on the matching earrings and bracelet. Exquisite. And that he’d picked the color to complement her eyes? Romantic. She looked in the mirror to see the luster of the pearls reflecting the lavender facets of her eyes, making them paradoxically smoky and bright. Andrew knew what he was doing. Here comes the bootay, I mean bounty, me hearties! Take a gander at these baubles!!! How do you get the chance to win? 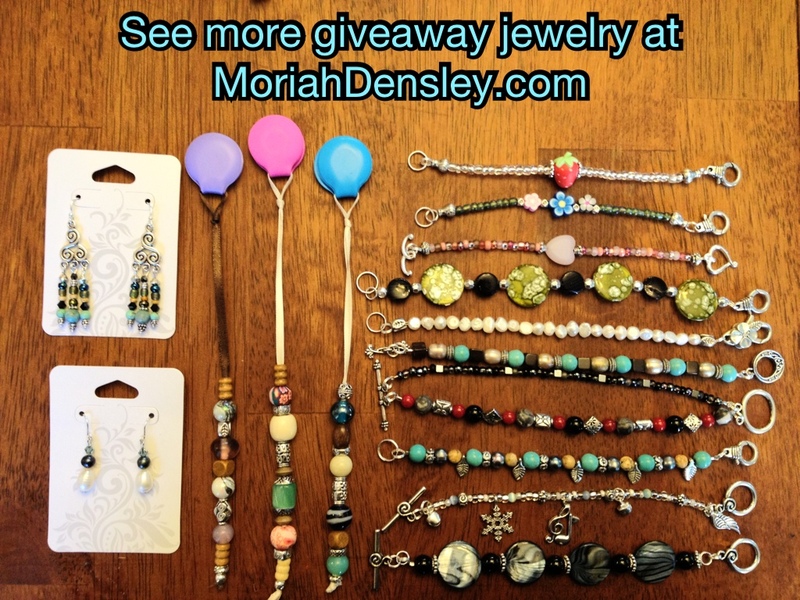 Heading… GIVEAWAY LINK where you can find out more about Moriah’s jewelry designs and sign up for her prizes! Want to see Moriah’s Pinterest boards? Or learn what Moriah’s reading at Goodreads? And don’t forget to hit like when you visit. It does a writer good to make new friends. 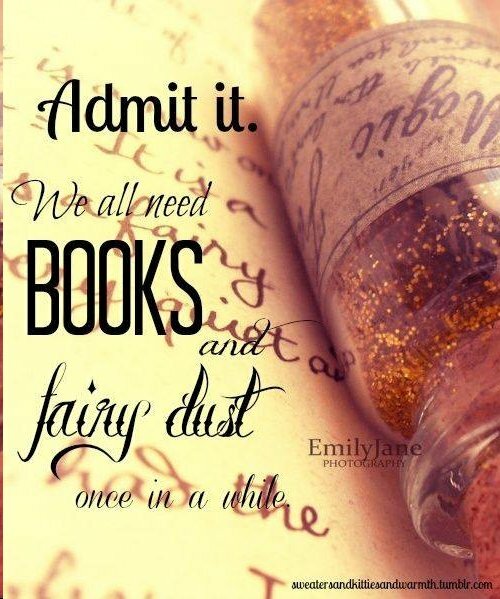 After all, writers write so that readers have great reading adventures! In keeping with Moriah’s penchant for making jewelry, what’s your favorite bauble, I mean stone? I adore diamonds, but am particularly fond of emeralds.